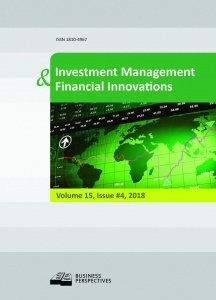 The international journal “Investment Management and Financial Innovations” encompasses the results of theoretical and empirical researches carried out both on macro- and micro-levels, concerning various aspects of financial management and corporate governance, investments and innovations (including using of quantitative methods). It is focused on the international community of financiers, both academics and practitioners. Key topics: financial and investment markets; government policy and regulation; corporate governance; information and market efficiency; financial forecasting and simulation; financial institutions: investment companies, investment funds, investment banks, hedge funds, private pension funds; objects of real and financial investing; financial instruments and derivatives; efficiency of investment projects; econometric and statistic methods in project management; alternative investments; ratings and rating agencies.